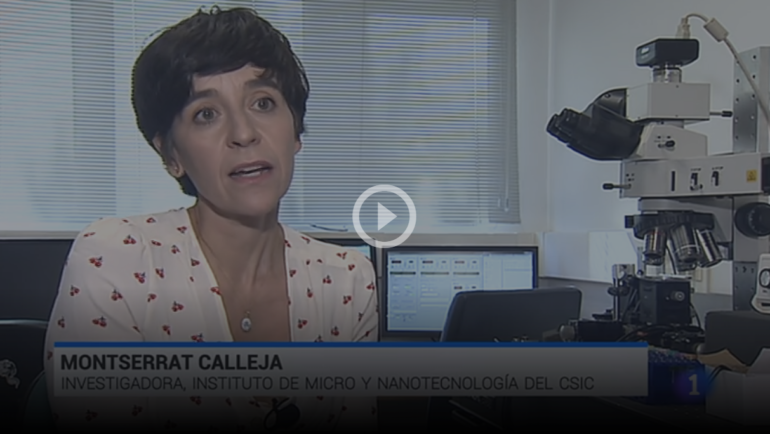 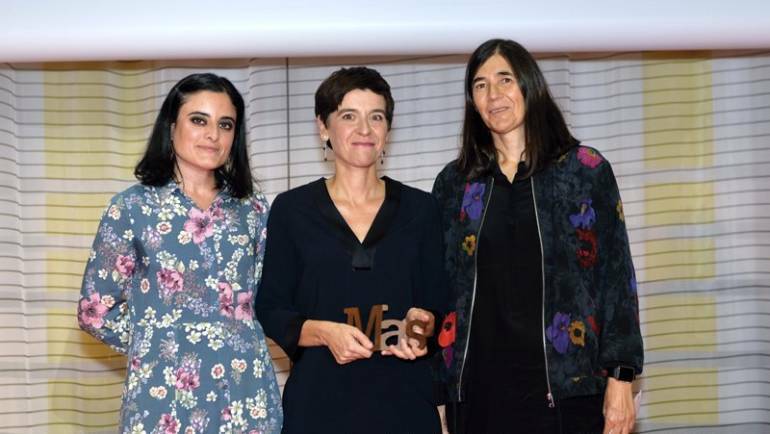 Prof. Montserrat Calleja, team member of VIRUSCAN project, MAS AWARD 2018! 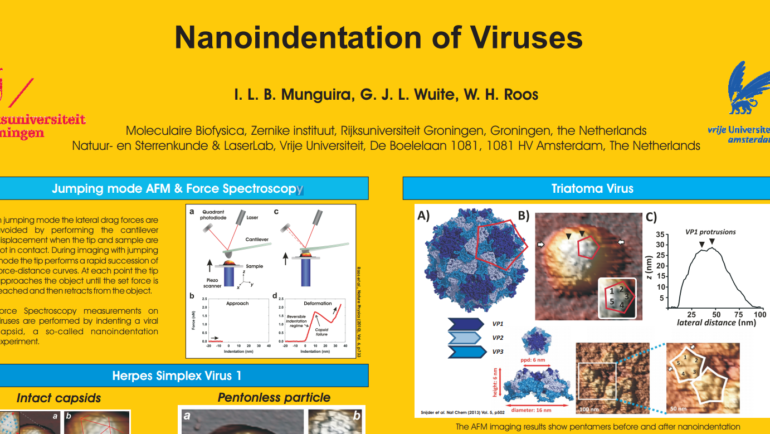 RUG has delivered a poster presentation titled “Nanoindentation studies on viral particles” at the “DutchBiophysics 2018”. 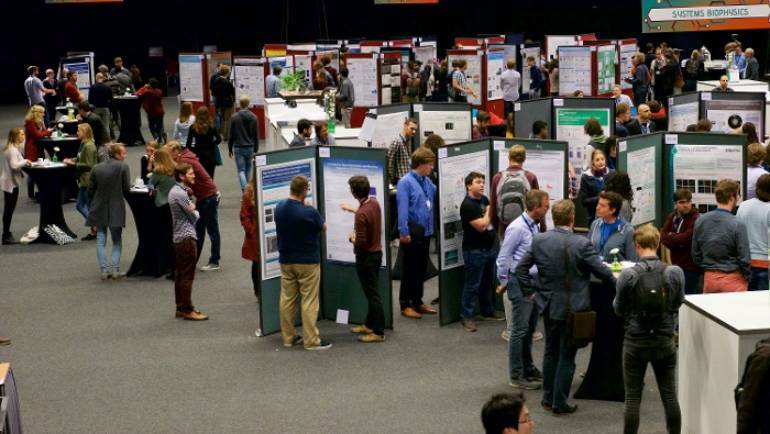 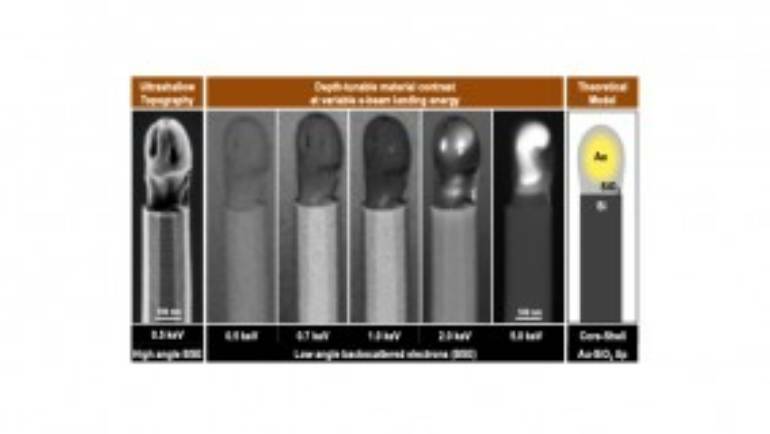 The poster addressed the results on the so-called nanoindentation experiments. 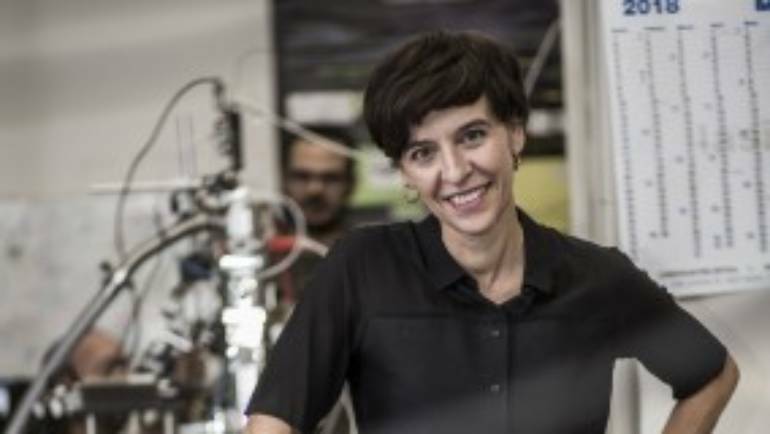 Prof. Tamayo has obtained the 2018 Physics, Innovation and Technology award granted by the Royal Spanish Society of Physics. 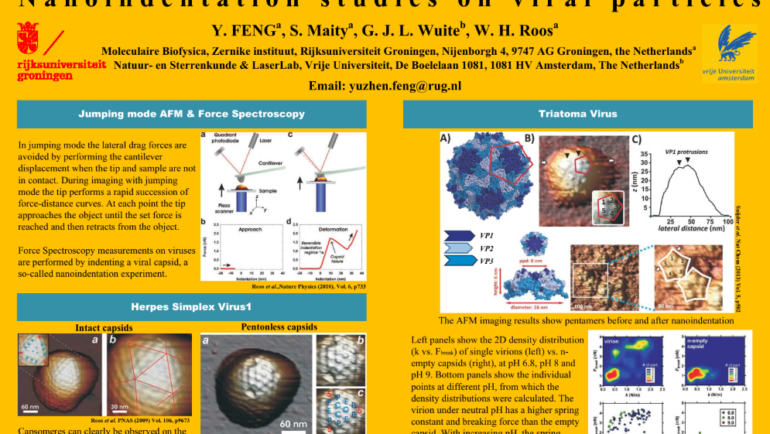 VIRUSCAN consortium met last 12nd November 2018 in Delft (at TNO facilities) for the annual meeting of year 2. 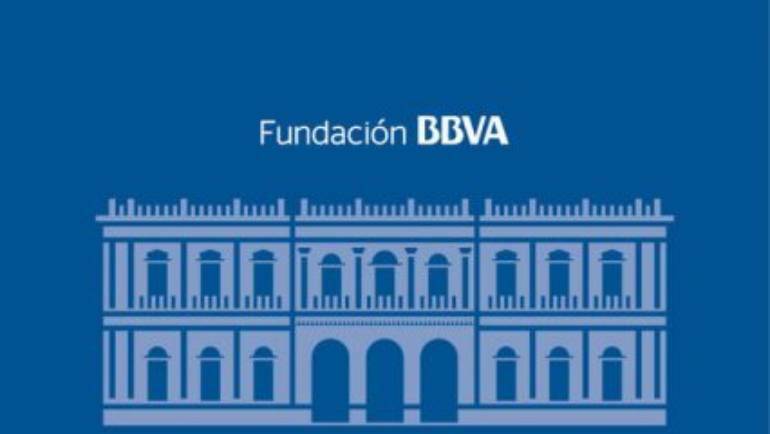 All partners presented their last advances and results, and key decisions for next steps were fixed.